School Board member Pastor Steven Harris will represent bus drivers and their demands when the school board meets today, Thursday, at 5 p.m. The Natchitoches Times received an anonymous call Wednesday saying that drivers for ECCO Ride are considering a strike over what they feel are low wages and broken promises. 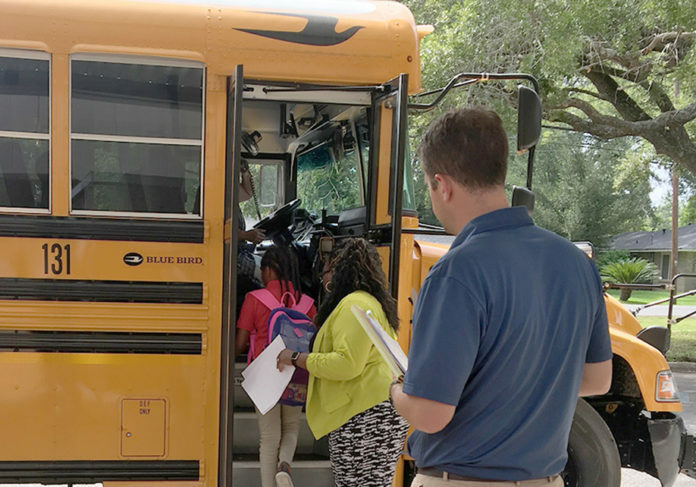 Since Harris entered an agenda item for the Thursday meeting, “Discuss retention plan for school bus drivers of ECCO Ride Bus Co.,” the Natchitoches Times contacted Harris who confirmed that he believes there are many disgruntled drivers. He provided a list of their grievances that were listed in letters to Supt. Dale Skinner and ECCO Director Jason Edwards. Harris said 15 drivers met with Skinner, Edwards and Director of Personnel Linda Page Feb. 13. Skinner said Wednesday morning he knew nothing about a potential strike. Next articleCAPT. DONALD JEAN CREPPEL SR.